No two people or families eat alike. So, there’s no reason that everyone should meal plan using the same goals and techniques. No matter what you are trying to get out your meal planning, there’s bound to be a free menu planning printable that caters to exactly what you need. 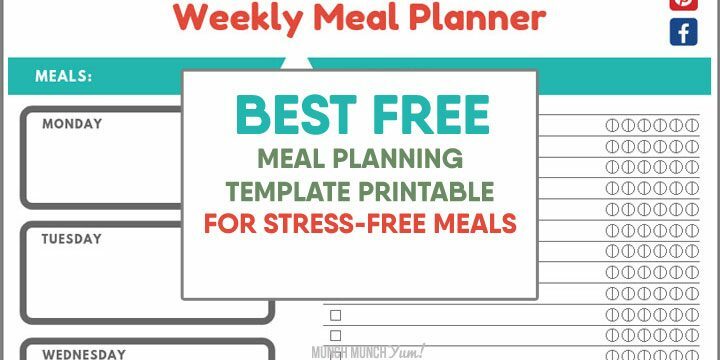 We’ve rounded up our favorite free meal planning templates in a wide variety of categories to help you find perfect the free meal planner calendar to keep dinners organized to a T! We took the most popular meal planner features & improved on common complaints to come up with the ideal overall meal planner template that’s super easy to use. Our meal planner template is designed for weekly use, since that is the time frame that most people plan around. Then, we made sure each day of the week has its own box for you to write your meal choice. Some templates combine or omit days, but we decided against that since you gotta all seven days a week! Next, we made separate sections for produce & non-produce ingredients because that’s how grocery stores are naturally arranged, so your shopping trip can go much smoother. We also added fill-in quantity bubbles so that instead of having to cross out and update quantities every time your recipe calls for an ingredient already on the shopping list, you can just fill in additional bubbles to keep track of the total quantity you need. If you tend to create dishes that need a wide variety of items, this template is the one for you. This meal planner template makes the grocery list section their main focus, with a section for every category you can think of. 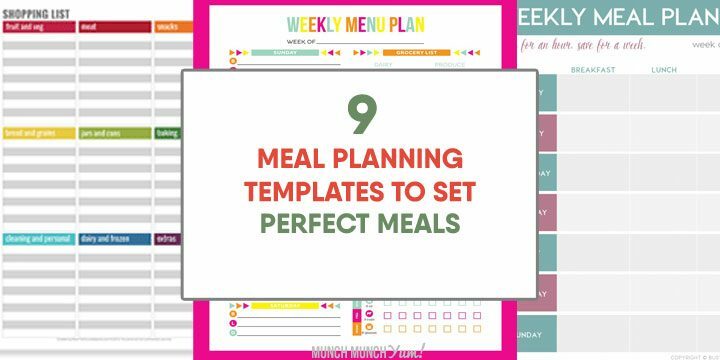 Whatever you have in mind for effective meal planning, you’re bound to find a free meal planning template that’s right for you. 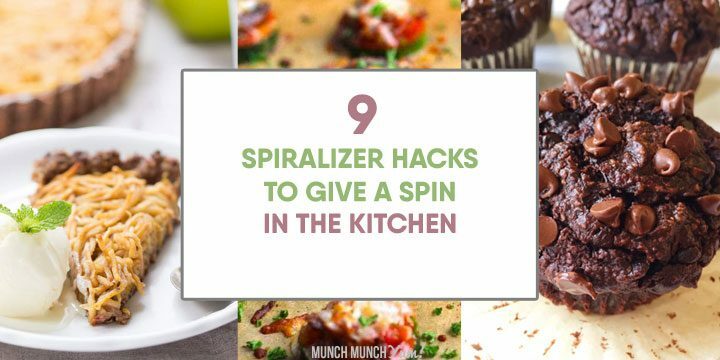 Whether you’re planning dinners for busy weeknights for your entire family or sticking to your diet plan for weight loss, these free menu planner printables will keep you on track.